Another Giveaway - Celebrating over 150 followers! Thanks to all of you! I am so, so excited to have reached 150+ followers. I couldn't have done it without all of you. I promised a giveaway.....so a giveaway is what you get! How does a book of your choice from Barnes & Noble or Book Depository up to $25 (not including shipping) sound for a giveaway? Just complete the form below. This contest will end July 1st! Keep in mind that is Friday. If you are hear looking for the Literary Giveaway Blog Hop, you are in the right spot! I am so excite that Judith at Leeswammes asked me to participate in her blog hop again! What am I giving away? "A young boy emerges from life-saving surgery with remarkable stories of his visit to heaven. Told by the father, but often in Colton's own words, the disarmingly simple message is heaven is a real place, Jesus really loves children, and be ready, there is a coming last battle." You guessed it, Heaven is for Real, by Todd Burpo. This book is so unbelievable amazing. I am afraid if I say anything more about this book, it will be a spoiler alert. To win this outstanding book, all you have to do is become a follower of my blog and leave a comment below stating so. This is open internationally. Seaside Book Nook (Int) this is me! Thank you so much for stopping by! Once I reach 150 followers, I will be holding another giveaway to celebrate! Help spread the word, by sharing this post on facebook. Wow, is all I can say about this book at this point. I really liked this book, but since it is my Manic Mommies Roc Book Club selection this month, I will wait until we meet and discuss it to write my review. We meet the end of June, so it won't be too long! I just had to tell you..... I really liked it. Coming soon is another great blog hop hosted by Judith at Leeswammes. 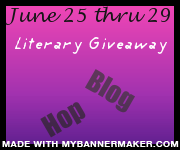 The Literary Giveaway Blog Hop is an event taking place from Saturday June 25th until (and including) Wednesday June 29th. Currently there are 60 (yes 60) blogs participating. I will have a great giveaway here, so make sure you blog back by! 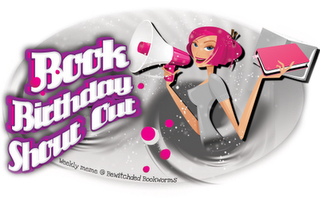 This week I am participating in a new meme hosted by Bewitched Bookworm. It's all about the love of books, right? and we love the authors that fuel our passion. something they wait anxiously for. Seriously, just like we do right? 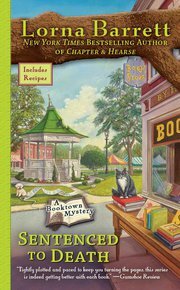 For all the rules and details check out Bewitched Bookworm. I am so exited to celebrate Sentence to Death by Lorna Barrett today! The best news, she is going to be at the Barnes & Noble by my work tonight! I love author book signings and the are few and far between here in Rochester. The only problem is I have two other conflicts tonight. I hope I can pull this off. Do you think I should invite her to out book club? How amazing would that be to have an author come to your book club meeting - wow! Let's Celebrate! 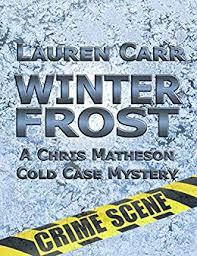 Synopsis: As the owner of Stoneham, New Hampshire’s mystery bookstore Haven’t Got a Clue, Tricia Miles can figure out whodunit in the latest bestseller way before she gets to the last page. But these days, Tricia is using her sleuthing skills for much more than the books on her shelves . . . Here is praying for rain early evening so my two other activities get canceled and I can make it to the book signing! The Book Blogger Hop (hosted by crazy-for-books) is a place just for book bloggers and readers to connect and share our love of the written word! What are the top 10 books you want in your summer bag? In no particular order (and they are already on my book shelf)! 1. Holy's Inbox, Scandal in the City bu Holly Denham. 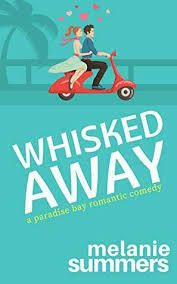 Loved the first book and it is great chic lit! 2. The Daughters by Joanna Philbin. I really wanted to support this young author and I love her dad! 3. Pricelss by Nicole Richie. Seriously, I was sucker for the synopsis. 4. In Office Hours by Lucy Kellaway. Loved the first one and this was one of my London purchases! 5. Heaven Is For Real by Todd Burpo. This sounds so amazing! 6. Princess for Hire by Lindsey Leavitt. Sounds like something one of my favorite authors (Meg Cabot) would write. 7. Good Harbor by Anita Diamant. My mom asked me to read it years ago and I still haven't. 8. Little Blog on the Prairie by Cathleen Davitt Bell. All I can think is...modern day Laura Ingalls! 9. Between the Tides by Patti Callahan Henry. Bought it last summer because the cover caught my eye. 10. Wicked Girls, A Novel Of The Salem Witch Trials by Stephanie Hemphill. I love books like this! I could resist or stop at 10! 11. Another Summer by Georgia Bockoven. I want to read other books by GB, but thought I would start at the beginning. 12. Lipstick in Afghanistein by Roberta Gately. I have heard so many good things about this book. 13. Momzillias by Jill Kargman. Another chic lit I bought in London. 14. The House on Oyster Creek by Heidi Jon Schmidt. I bought this last summer and haven't read it (love the cover too). What is in your summer book bag? I would love to hear what you are reading or plan on reading.